Late last year we reported that a company named Psion was gearing up for some legal action in order to defend products it had called the “Netbook” and “Netbook Pro” back in the early part of the decade. 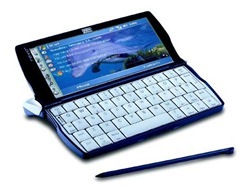 Psion initially sent out cease and decist letters to various websites in the UK, demanding that references to “netbook” or “netbooks” be removed, and then later got into a legal scuffle with Dell, Intel, and others who had been using the term “netbook” in marketing literature. Psion PLC announces that Psion and Intel Corporation have settled the trade mark cancellation and infringement litigation brought in the Northern District of California relating to the ‘Netbook’ trademark registration. The litigation has been settled through an amicable agreement under which Psion will voluntarily withdraw all of its trademark registrations for ‘Netbook’. Neither party accepted any liability. In light of this amicable agreement, Psion has agreed to waive all its rights against third parties in respect of past, current or future use of the ‘Netbook’ term. There’s no telling what’s behind Psion’s relatively abrupt about-face but I’d guess it has to do with money. Either Psion’s running out of it trying to pay legal costs or Intel gave Psion a bunch of it to go away. Either way, we can finally all sleep at night knowing this is over. Or just keep sleeping normally since nobody really cared all that much in the first place.